Features for CrownCloud - VPSes, Dedicated Servers and Colocation services! Features included with your VPS! With a wide range of supported operating systems, you can run your operating system of choice on your VPS! Wish to install Android on your VPS? The latest version of an operating system on day 1? or have a custom operating system you wish to install? No problem! Send us a link of the ISO image and we'll mount it on your VPS/Server for install. Note: Custom ISO is available only on KVM, Dedicated server and Colocation plans. Creating a snapshot is super simple with our VPS control panel, with a single click a full VPS snapshot is created which can be restored at any point of time once created! 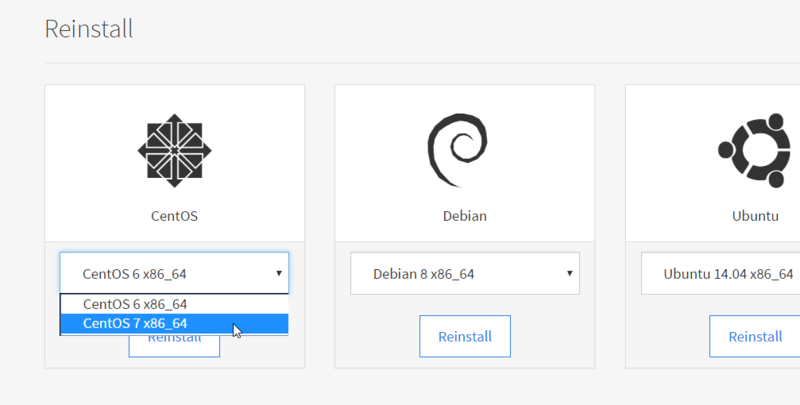 Select the operating system + version you wish to (re)install and done! Ability to use SSH Keys directly at the time of install allows for quick access to your VPS as well.